Delonghi - PACN130HPE : Portable Air Conditioner Review • The Air Geeks, reviews of air conditioners, dehumidifiers and air purifiers. Are you looking for a powerful air conditioner for your medium or relatively large office, bedroom, living room, computer room, et cetera? The PACN130HPE is a strong air conditioner that offers a cooling capacity of 13,000 BTU. In addition to cooling your room, this unit features a built-in dehumidifier and a heat pump. This portable system offers an easy to use interface that enables users to adjust the temperature and relative humidity of their rooms with ease and convenience. Furthermore, it features caster wheels that enable users to move it from one position to another by pushing it. In case you are looking for a multipurpose unit that will help to transform the environment of your home or office, then you need to consider the PACN130HPE. If you have already identified it as a suitable choice for your needs and you are searching for information about its performance, then we are glad to let you know that we have what you are looking for. We have researched widely to provide you with reliable information that will help you to make a well informed decision. The PACN130HPE is a powerful air conditioner that offers a cooling capacity of 13,000 BTU. This high capacity makes it a suitable option for medium-sized rooms. According to the manufacturer, this features-rich air conditioner is suitable for spaces that are as large as 500 square feet. In addition to cooling your room, this multipurpose unit features a built-in dehumidifier and a heat pump. Do you live in a humid place and you are looking for an air conditioner that you can use for your dehumidification needs. If your answer is yes, then you should consider the PACN130HPE. The built-in dehumidifier of this unit is capable of capturing up to 87 pints of moisture when it is in the dehumidifier only mode. This strong dehumidifier extracts excess moisture to create an environment that is unfavorable for the growth of mold and mildew. It also helps to protect your possessions from rotting. In addition to cooling and dehumidifying your room, the PACN130HPE features a heat pump that has a heating capacity of 3810 watts. This feature comes in handy during winter when the temperatures are low. If you are looking for an appliance that is capable of transforming your room, then this air conditioner has all the features that you need. The LCD display and digital controls of the PACN130HPE enable users to adjust the temperature and relative humidity of their rooms with ease. In addition, this air conditioner features a remote control that allows you to adjust the conditions of your room with convenience and without the need to walk to where you have positioned it. Are you looking for a durable unit that can run for years without breaking? If that is what you are looking for, then you need to think about another brand. From our research, we have noted that many cases of product failures have been reported. The units involved in most of these cases have been in use for less than one year. Relatively quiet. The PACN130HPE is relatively quiet as compared to other ACs of same capacity. However, in the high setting, it produces white noise. Features a heat pump. This is a multipurpose unit that is suitable for cooling, heating, and dehumidifying. Difficult to get replacement parts. Considering that the manufacturer has discontinued this product, it is not easy to find replacement parts. Not durable. We have noted that many cases of failures have been reported. Unfortunately, in most such cases, the units developed problems within the first few months. Unsuitable for large rooms. Although the manufacturer indicates that this unit is suitable for rooms that are as large as 500 square feet, we have observed that it performs poorly in such rooms. It is suitable for smaller rooms. Frankly, I’m skeptical of a few reviews here and seriously have to wonder if they don’t have a conflict of interest with their negative comments and super low ratings. 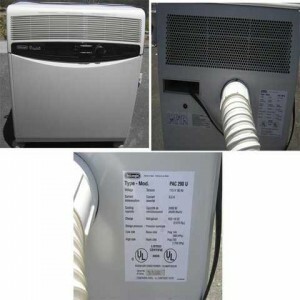 One reviewer, after posting a mile-long wall of text proclaims this unit to be “a gimmick and fake AC”. Huh? The unit is nowhere close to being a “gimmick”, and because it does what it says it will do (cool the room it’s in) it is certainly not a “fake AC”. In case you are looking for a multipurpose unit that can be used for a variety of functions, then the PACN130HPE is suitable function. 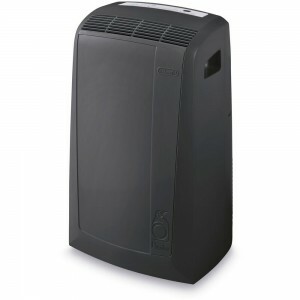 This powerful unit offers the functionality of an air conditioner, dehumidifier, heater, and a fan. It is therefore a suitable choice for people who want to have complete control over the environment of their rooms. Unfortunately, many cases of product failure have been reported by users. This is an indicator that this unit is not a highly durable appliance. Nevertheless, if you feel that the strengths of this unit outweigh its weaknesses, you can proceed and purchase it for your air conditioning needs.